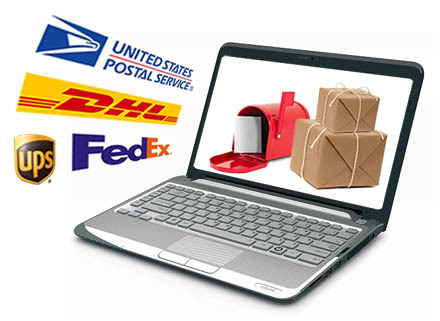 Get your free USA address complete with international or domestic package forwarding that you can view and manage online. Use it for tax-free USA online shopping, while traveling, living abroad, or simply for the convenience of being able to manage your shipments online and forward them to any international or domestic destination. See what our customers say. ...and in minutes you will have a real USA street address inbox that you can monitor and manage online. ...at any USA online store or auction and have packages delivered at your AmForward.com address inbox. ...anytime and anywhere in the world. You just login to your account and select when, how and where to send your package. With pricing starting at $0/month, no setup fees or commitments and low shipping cost, our service is a fraction of the cost of traditional mailbox services and PO boxes that don't even provide online access. Register and get an affordable USA shipping address with forwarding now or learn more about how it works.